How Much Should Errors and Omissions Business Insurance Cost? Errors and omissions insurance (E&O) is a form of professional liability insurance that companies use to protect their business and employees from claims of negligence or inadequate work. 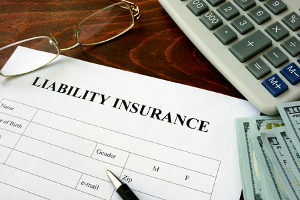 Also referred to as professional liability insurance (PLI) or professional indemnity insurance (PII), errors and omissions coverage is typically used by businesses that provide expert advice or professional services, such as individuals who work as lawyers, doctors, engineers, architects, or accountants. The costs associated with this type of insurance can greatly vary depending on the carrier. Learn more about errors and omissions business insurance and what you can expect to pay for coverage. The median cost associated with errors and omissions business insurance falls between $860 and $1,939, with an average cost of $956 to $2,652 per year. Costs of the business insurance will generally depend on a variety of factors, such as the size of the business, what position you have in the business, and where in the U.S. you are located. While independent contractors may pay as little as $860 per year, larger consulting firms may face higher coverage costs closer to $1,939 per year. Before providing a quote for errors and omissions business insurance, you will need to provide ample information to ensure that you get the best price possible. You will likely need to provide documentation associated with previous claims, how many people make up your client base, and how contracts for your business are generally written. The cost of errors and omissions business insurance can also increase if you have a higher than normal number of claims each year. However, if you are in a specific niche that poses a lower risk, you may be eligible for discounts that lower your costs. Is Errors and Omissions Business Insurance Worth the Cost? Many businesses who are unfamiliar with errors and omissions business insurance may wonder if the coverage is worth the cost. For the majority of those who carry this insurance, the short answer is yes. Experienced employers know that this type of business insurance acts as an effective sales tool by instilling confidence in prospective clients. Businesses that do not yet have E&O insurance are typically companies that are new and do not yet have the funds to invest in the safety of their business. Who Should Have Errors and Omissions Business Insurance? You may be wondering if you are in an industry or job position that should have errors and omissions business insurance. While not all companies need this type of business insurance, most can greatly benefit from having coverage. For some businesses, general liability insurance is not enough to protect against certain types of lawsuits, such as those associated with negligence. If you are a professional in real estate, engineering, insurance, or similar industry, you may be an ideal candidate for E&O insurance. It may also be right for you if you provide expert advice or use your expertise to provide certain types of services. There are some ways for new and established customers can save money on their errors and omissions insurance premium. These deductions can be attractive for both small and large businesses who are trying to lower their business-related costs. You may receive rewards such as lower rates if you employ good risk management procedures. When you choose a higher deductible, you are essentially taking on more risk. A carrier may reward you by lower your premiums. If you purchase more than one product or service, you may also receive a discount on your insurance rates. Do Companies Need Multiple Types of Business Insurance? If you already have general liability insurance, you may be wondering if you really need to purchase errors and omissions business insurance. While some smaller businesses in certain industries can get by on this type of business insurance alone, you may find that your company needs the extra protection. There are several types of insurance that companies often seek for their business, such as auto insurance, worker’s compensation insurance, and medical malpractice insurance. E&O coverage is one of the most important as it protects your livelihood in the event that you are sued. Do Businesses Need Errors and Omissions Insurance for Meritless Lawsuits? Despite what a customer or client may claim, you may not be responsible for negligence or a financial loss on the client’s part. However, this does not necessarily mean that you will not be found guilty of wrongdoing. One of the biggest advantages of errors and omissions insurance is that it provides protection even if a claim is found to be frivolous, unfounded, or meritless. This protection can provide great peace of mind when you know that you did not do anything wrong. What Causes Errors and Omissions Insurance to Be Higher? If you have recently received quotes for errors and omissions insurance and found them to be higher than average, there is likely a reason. In some cases, a business will be quoted with a higher premium if they have a history of repeated professional liability claims. These claims put you at a higher risk in the eyes of a carrier which can cause your price to be higher. To lower your rate and safeguard your business against future claims, take the time to improve your insurance history by developing solid business strategies and communication solutions. 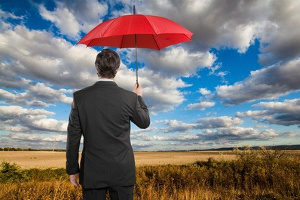 For all of your business insurance needs, contact the professionals at Business Benefit Group in Fairfax, VA. Our business consultants can help you determine what business insurance is right for you and how much the insurance will cost based on a variety of factors relating to your unique business. BBG’s experts can also help you mitigate the risk of financial damages caused by unjust claims by providing errors and omissions insurance. For more information about E&O business insurance or to request a consultation, contact Business Benefits Group today.